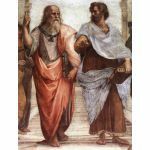 This book is an engagement between a great modern philosopher defending classical philosophy against an army of challengers to the very notion of philosophy as classically conceived. It is written very much in the spirit of the "scholastic disputations" in the medieval universities, which produced the great Summas: a mutual search for truth, a philosophical laboratory, a careful winnowing of each objection. Such objectivity is lamentably rare in contemporary philosophy. 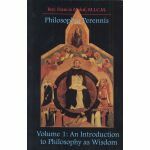 In order to combat modern misunderstandings of challenges to the classical concept of philosophy, Pieper shows us the unique and uniquely valuable thing philosophy is as conceived by his masters: Socrates, Plato, Aristotle, Augustine, and above all, Aquinas. Along this path he scatters gems of insight, such as: art and religion as Philosophy's defenders; the relationship between philosophy and science; philosophy as "seeing and saying"; and philosophy as rooted in meditation and loving contemplation. Pieper emphasizes that philosophy is something all human beings do, and should be the better for doing.